I have been working without much break on a grant application for the last month but completed this week. Its fun to work with intellectually stimulating people. 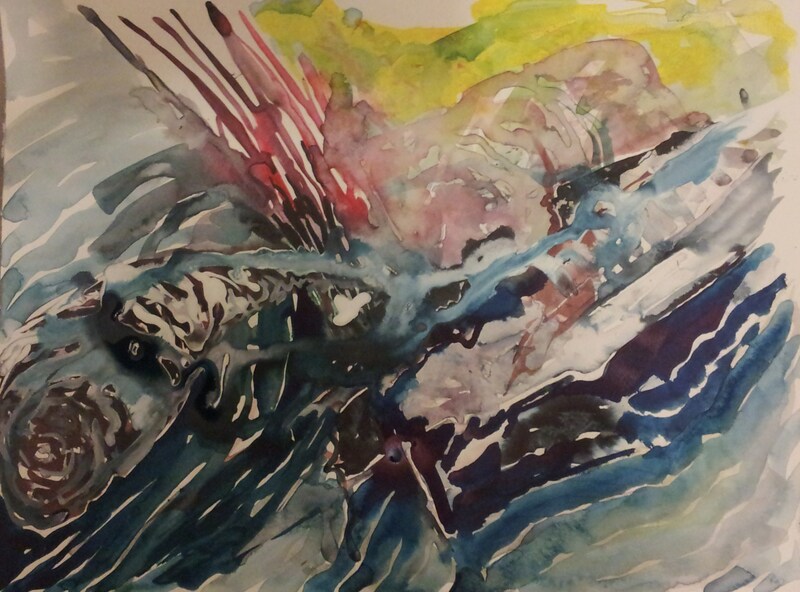 This was an idle doodle in a spare moment using acrylic inks on smooth paper. I think the seduction theme from Neil Gaiman’s Beowulf was playing but clearly did not influence the painting. I watched that film recently for the first time. The soft pornographic portrayal of Grendel’s mother was faintly comic, but her prehensile hair as reptilian tail and the haunting evocative music as the hero fought and lost the hardest battle were fine points. The only path to salvation is through true love. But the truth of your love must be verified by examination of your art. Last weekend, I watched the film of this book. It was 3 quid in Tesco. Since watching it, I found my thoughts are haunted by undercurrents of despair. Here are depicted human lives of suppressed anguish without rebellion. Their one hope, a false hope, is of salvation by true love, verified through art. This is not a warning nor yet an allegory. It is a model, a simplified representation of our own spiritual reality. On the other hand, given my passing thoughts of hopelessness and despair are unutterably trivial when viewed from the vastness of space or the depths of time, it’s time to cheer up. 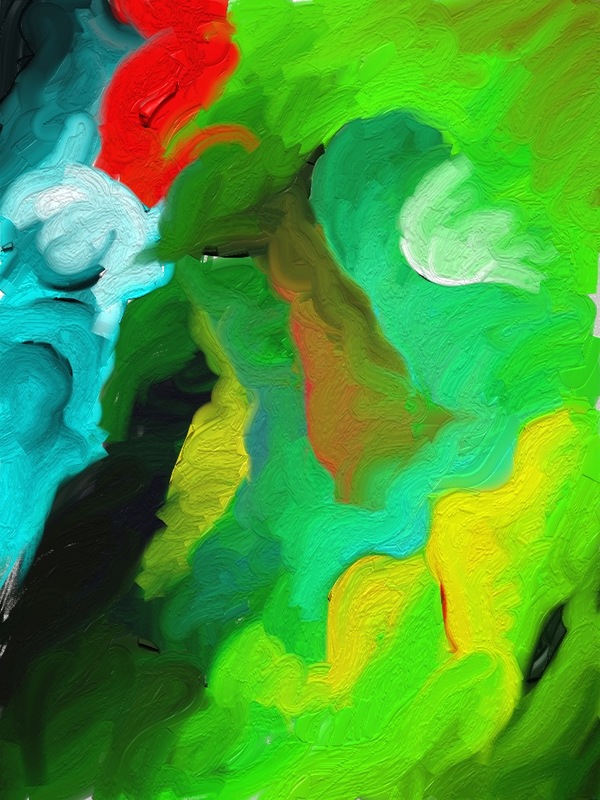 The paintings were done on the iPad in response to the film. 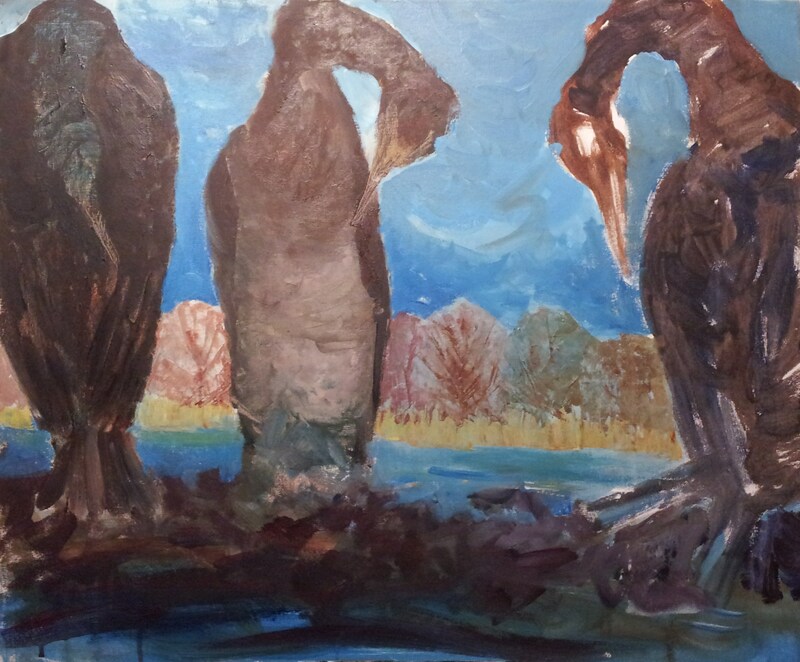 This is the current state of my painting of cormorants, taking the work of John Bellany as a starting point. 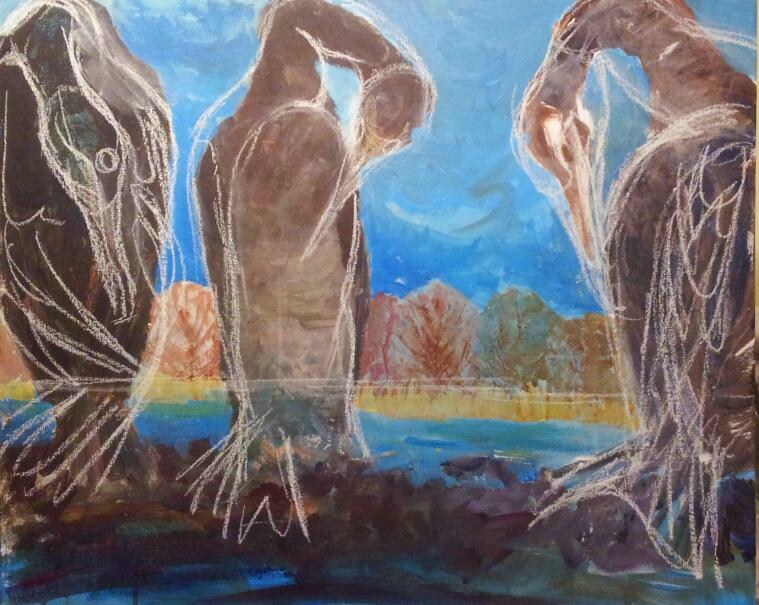 I knew that I should paint the birds in layers, starting with a neutral of burnt sienna and ultramarine, tinted with rose, and then build in light and dark tones on this. So what I actually did was this. 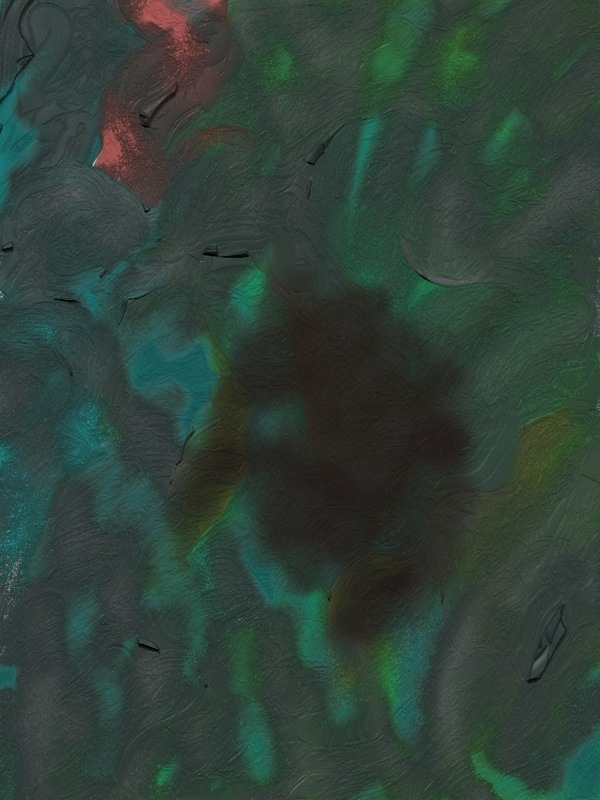 I mixed a mud of rose, viridan and whatever else was still wet on the palette and whacked it on thick with a knife while sort of dancing to the music of Dire Straits. Cathartic but artistically challenged. I had looked again at my first sketch and then tried to redraw the anatomy of the birds in chalk. I corrected the sloping horizon. 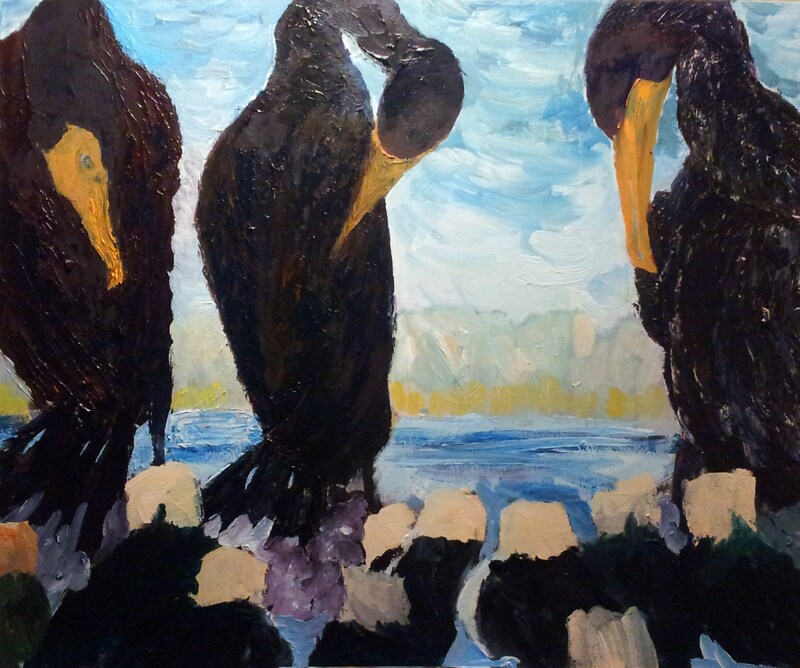 I knew that I wanted to fade those background trees into the sky and bring a mass of smaller birds into the foreground at the cormorants’ feet. Someone kindly admired those bendy necks in a previous post. This is indeed meant to be a strong point of the whole composition. In a series of sketches, I set out to work out how the vertebrae articulate and skull and crop are positioned as the birds preen and watch their surroundings. I looked for lines of action and the relativity of shapes before drawing back in the plumage. Here I must mention the excellent birdguide site which I used as source material. Many people upload their photographs daily and they retain the copyright to their images. I wanted to design a picture for my daughter’s sixth birthday showing her reading, leaning back against the warm body of a large animal: a dragon? a bear? 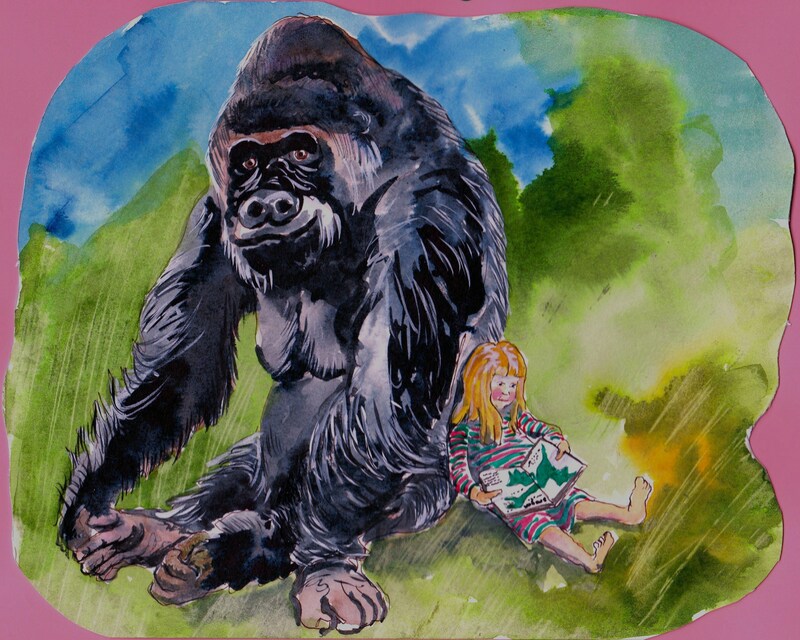 The last few days her favourite book turns out to be Anthony Browne’s Gorilla. A little girl wants a gorilla for her birthday but is disappointed when she gets just a toy. Then the magic happens … of course. So she likes gorillas. I finally got round to drawing this in the early hours of the morning. Thanks to all the photographers whose pictures were accessible via google images – I didn’t have access to a high altitude tropical forest to work from life.